As the spring quarter reaches its midway point, students can unwind from the stress of heavy coursework with a good book. The Women’s Resource Center (WRC) at the Santos Manuel Student Union has been hosting its first book club since April 24 and invites readers of all majors and genders to attend. 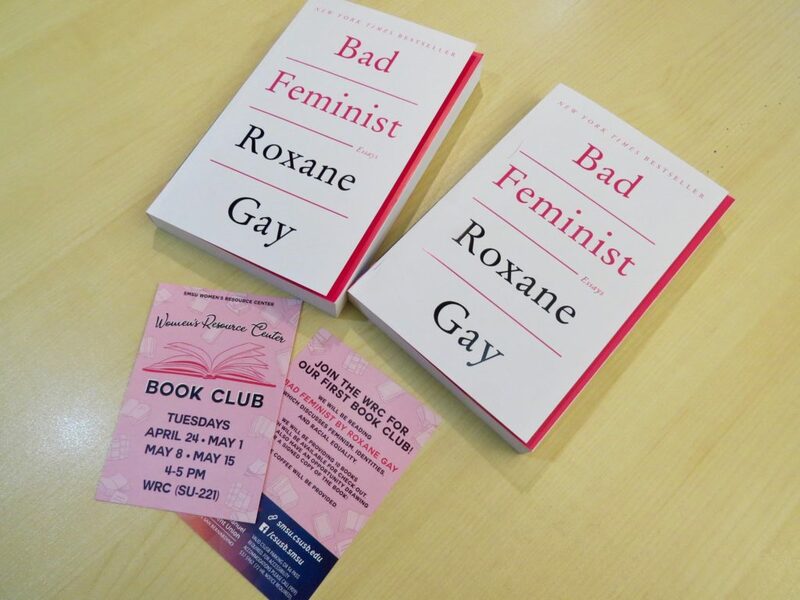 The book club, organized by English major Lizette Casillas Rodriguez, has been reading cultural critic Roxane Gay’s 2014 collection “Bad Feminist: Essays.” Rodriguez chose this title in particular for several reasons, including Gay’s visit to the campus last fall quarter and the flexibility of the text to students. Due to her passion for literature, Rodriguez was the one who pitched the idea of the book club to the other WRC workers. She sought to provide students who struggled with time management a chance to read a book that would promote awareness and positivity. “I have a lot of academic reading, so I don’t have a lot of time to read for fun. I imagined that maybe more students felt this way, so my solution to this was to create a book club and pick books about feminism that are written by intersectional feminists,” Rodriguez said. When selecting the kind of books featured in the club, Rodriguez prioritized titles that were empowering for women and ones written by women of color, since minority feminist authors tend to receive less attention and acknowledgement. During each meeting, new members are asked to introduce themselves before discussing the selected essays. Book club attendees pick four essays to read before each meeting and Rodriguez posts them on the WRC Instagram and Facebook page so that they are accessible to everyone. The WRC book club has started to accumulate a following, starting from three people, including Rodriguez, in attendance during the first meeting to now consisting of five members. Although the future of the book club remains uncertain, since Rodriguez is set to graduate from CSUSB this June, she encourages others to join the last meeting of the quarter on May 15 at 4 p.m and hopes to find someone else to lead the group. “I think it is beneficial because it allows our students to come in and be a part of something. CSUSB is a commuter school and it is hard to connect with other students. So, the book club kind of builds a bridge and it allows our students to come together and make friends,” Rodriguez said.